1. I already love these sneakers because of the hidden laces, and I saw them in a rose gold color! 2. I know I typically talk about fashion and beauty, but can I veer off course for a second and mention these new frozen dinners I have been eating? There are limited ingredients which I like and they are much healthier than many others I have tried. And they are so delicious! Some need a pinch of salt, but I like to have healthy quick options for lunch or dinner that don't require a ton of work. 3. I grabbed my favorite white pjs out of the drawer to wear the other night and they looked so dingy. I immediately remember reading so many great reviews about this cleaning product, so I immediately went out and bought it. Not sure why it took me so long to try it, but it is lifesaver in keeping items white! 4. 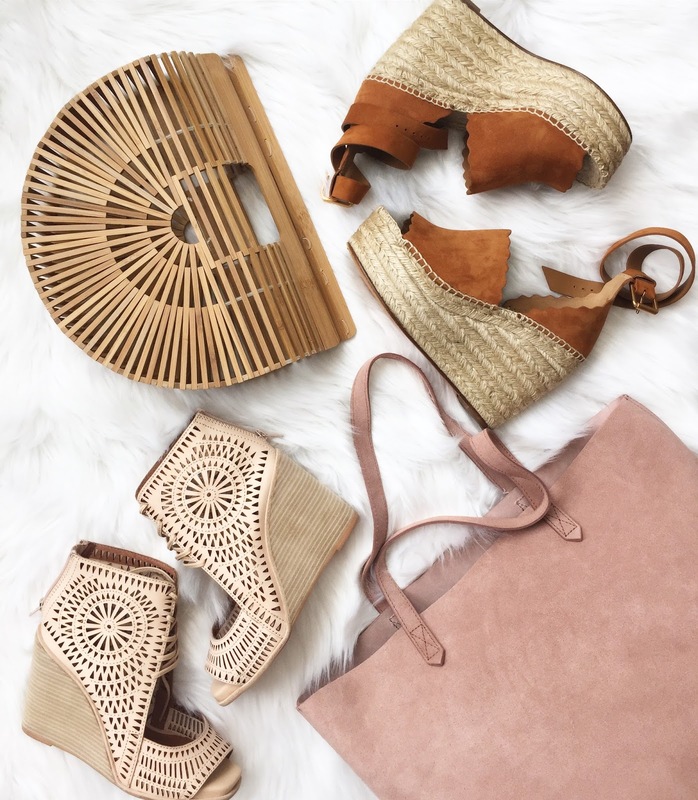 Mules are huge this season and to be honest, I am on the fence about them. Though I recently came across this pair and loved the look. I may just become a mule wearer this spring. 5. Exciting news for all skincare lovers - this luxury line just landed at Sephora! 6. I have never purchased anything from Reformation, but I think I need to try a few pieces because they are so gorgeous! This blouse and this blouse are button down perfection and I adore the shape of these high waisted pants. 7. This may be a spoiler alert for an upcoming post, but I have fallen in love with this hair mask. It works serious miracles! 8. This foundation is my holy grail for long wear and matte skin, and now there is a concealer. I'm worried that it may be too thick for me but I am so in love with the foundation formula that I am willing to give it a try. 9. Speaking of foundation, I will be giving a full video review on this new launch. There are definitely some positive and negative aspects to it, but overall I decided to keep it. That's it for this week. If you have any great finds, please leave me a comment below with what you are loving!